This beautiful 4 bedroom 4 bathroom villa is located in one of the best well keep communities on the north coast only 3-5 minutes from downtown sosua known for nightlife and its unique clear waters where divers around the world come to enjoy also only 10 minutes from the world known kite surfing city of Cabarete. 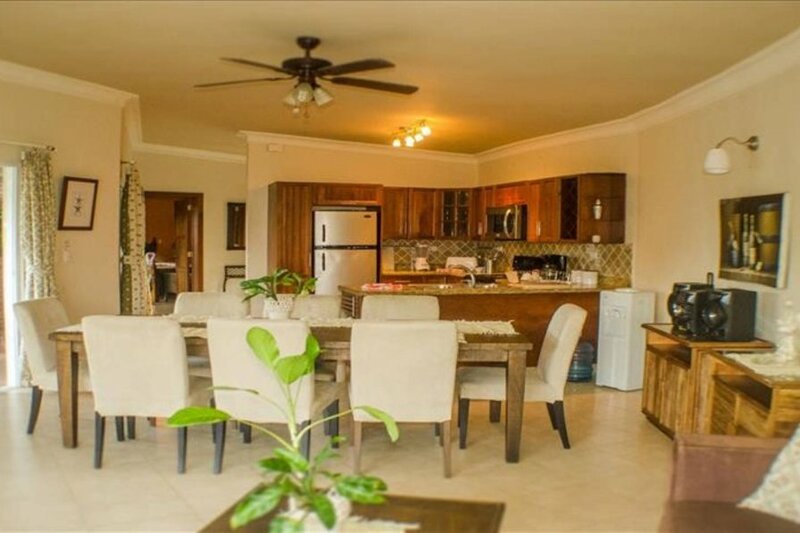 The villa offer high end furniture and top of the line appliances, all bedrooms have kings beds and a/c, each one of the bedroom with end-suite bathrooms and located around the pool to give an amazing view of the large price pool and the tropical garden. Outside by the pool is the palapa bar to give you enough space for you and your friends to enjoy the outdoors while having a piña colada and some ribs made in the top of the line BBQ. Don't miss the opportunity to have the vacation of your life.